As a parent, your job is never over. Even when your kids grow up, move out of the house, and start lives of their own, they will always have questions to ask and need your help — it’s up to you to be able to assist them in any way possible. Though you aren’t going to have to wait on them for all hours of the day once they move out of your home, it’s still important that you are there for them and assist them with any one of life’s major difficulties. Teaching your millennial children about the importance of life insurance, for instance, is an essential part of fatherhood. 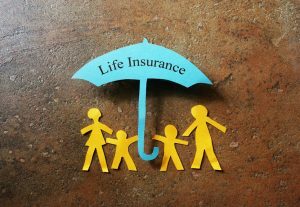 According to Business Wire, though young adults are hoping to have families, own homes, and start businesses themselves, they aren’t aware of the importance of life insurance. Only 40% of all millennials show some sort of interest in a life insurance policy. As a father, you should try everything you can to teach your kids about the importance of taking care of themselves and their future families, whether they’re around to do it or not. Talking to your kids at an early age about obtaining their own life insurance should be one of the major conversations you frequently have with children — especially as they are starting lives of their own. Although millennials might not have as high of a risk as dying compared to the elderly, there are still plenty of uncertainties in this life. Millions of young people are killed each year due to auto accidents, strange diseases, and even medical complications. An estimated 98,000 Americans pass away each year due to preventable medical errors alone. Funerals are extremely expensive — Obviously you never want to talk about your children’s funerals, but it’s important to at least let them know how expensive they actually are. Sticking your children’s future family with the upwards of $10,000 funeral costs would be horrible. Certain policies have built-in savings — Some types of insurance policies can actually help your children save money in the long run, which could greatly help a millennial down the line. Employer insurance isn’t always the best option — Many millennial think that just because they have a small health insurance policy, that they are protected from everything. This is not true and you need to let your millennial children know. Although there are certain parts of life that your kids will have to figure out on their own, you should do all you can to help them understand the importance of life insurance.